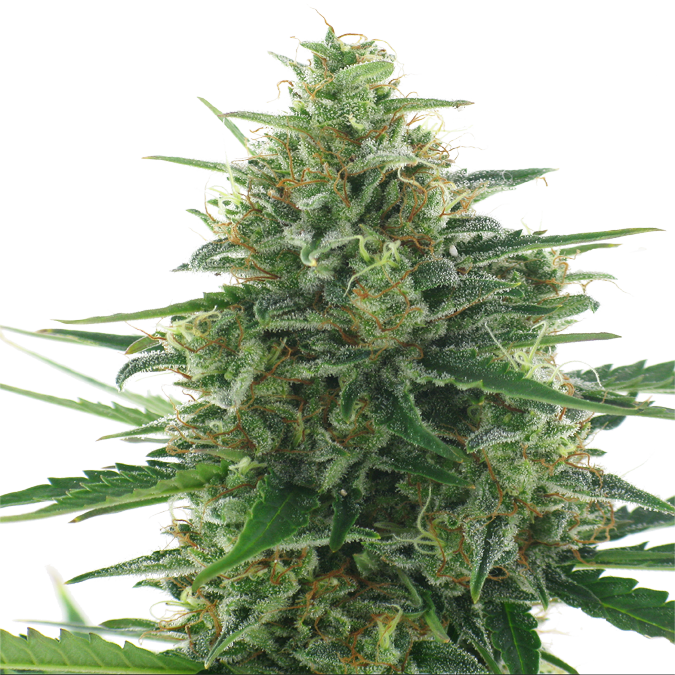 White Express is the ultimate autoflowering variety for lovers of the white family. In order to create this amazing hybrid a Lowryder #2 has been paired with a very stable and reliable White Widow plant. White Express is a beautiful autoflowering variety which grows easily. She doesn't need a lot of nutrients and can handle quite a bit when it comes to too much or too little feeding. Just like the White Widow herself, the buds and leaves of the White Express are laden with white, glistening trichomes. The sticky buds are full, compact, robust and smell sweet and strong. White Express leaves the smoker with a solid all-round high with a hefty body buzz. Ideal for spending an evening on your couch, but harvest in time if you want to avoid the couch-lock effect. White Express is 100% autoflowering and will complete her life cycle in 65 - 70 days. From seed to harvest! Order a pack of 6 seeds and get 1 extra seed for free!